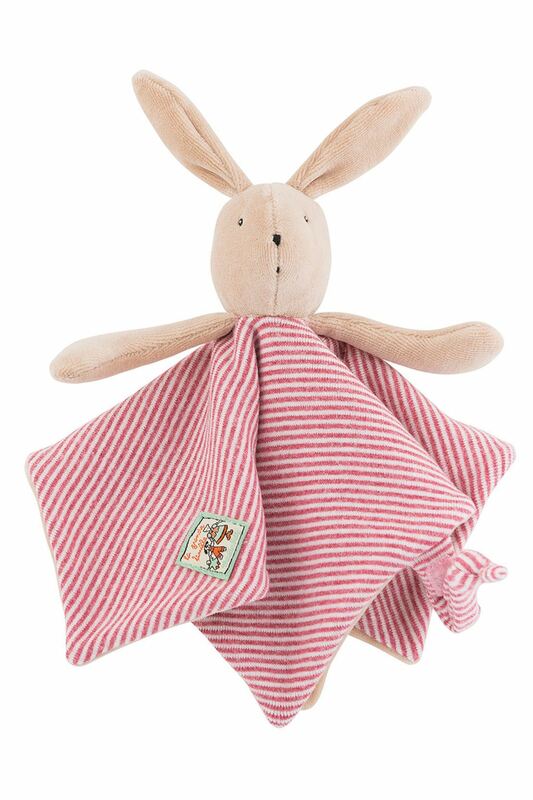 A Moulin Roty Classic - this cute little Moulin Roty Rabbit Comforter is a perfect gift for a new baby. The baby comforter makes a wonderful new baby gift. Made from very soft fabric and beautifully finished, this cute baby doudou also has a velcor attachment for a dummy. Sylvain is a popular member of Moulin Roty's La Grande Famille.